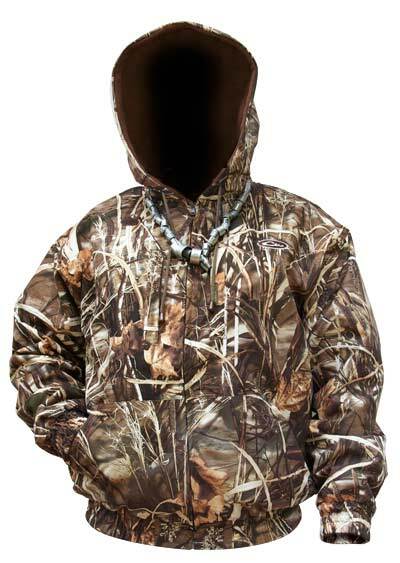 The MST Waterproof Hooded Full Zip offers all the comfort and warmth of your favorite hooded sweatshirt with the 100% waterproof protection that waterfowl hunters need. 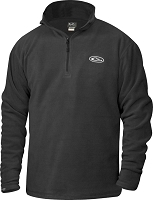 The full-zip design makes it easy to put on and take off, and the fleece-lined hood is fully adjustable and functional for keeping you warm and dry. Standard kangaroo pockets a perfect handwarmer and provides extra storage. The MST Waterproof Hooded Full Zip is constructed of Refuge HS™ shell fabric backed by our 100% waterproof, windproof, and breathable HyperShield 2.0™ Technology and lined with 280g fleece for maximum warmth without weight or bulk.